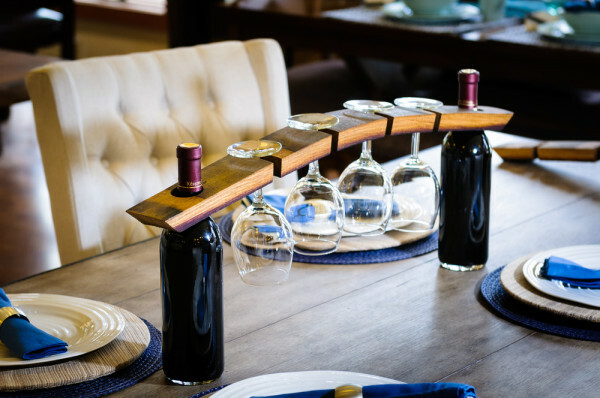 WineCollective partnered with esteemed Sonoma producer Schug Carneros Estate, to bring our members an exciting offering. We are proud to showcase the WineCollective Cuvee Pinot Noir and Chardonnay from Schug. These wines are exclusive to WineCollective members online, and available only at Highfield by WineCollective in Calgary. Owners Walter and Gertrud’s appreciation of wine came early in life, as both their fathers managed estates in Germany. 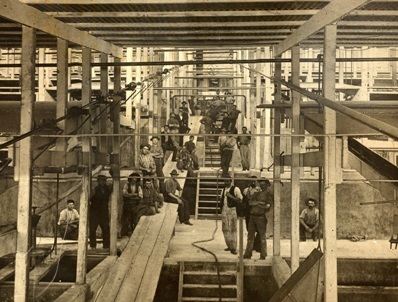 The couple moved to California, where Walter worked for several large producers, such as Joseph Phelps. While living in St Helena, Napa and working as the winemaker at Phelps, Walter had the opportunity to produce produce under his own label. 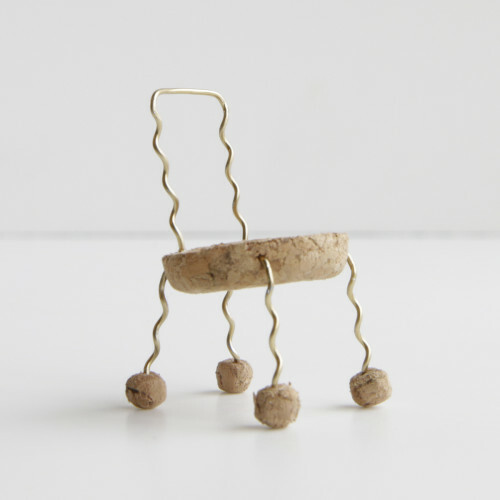 Starting with Pinot Noir, Walter began building the Schug brand. The vineyards just south of Schug Carneros Estate. Through it’s growth, Schug has remained a family ran business. All of Walter and Gertrud’s children are involved in the winery’s success. Axel Schug, one of Walter and Gertrud Schug’s three children, is responsible for the estate’s sales and marketing ventures. Axel hosted WineCollective late last summer, where we were able to learn more about the winery’s history and future. Schug Carneros Estate is located in its founding location within the Carneros appellation. 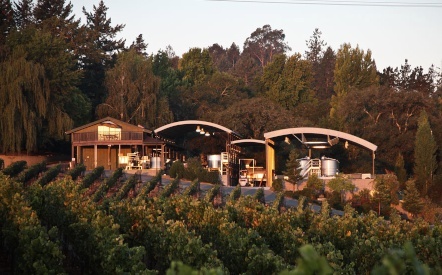 When the demand for Schug wines outgrew their production in Napa, Schug grew its acreage 1989 with 50 acres in Sonoma. Home to our exclusive cuvees, the Sonoma Coast enjoys a cool maritime climate, perfect for ripening crisp Pinot and Chardonnays! 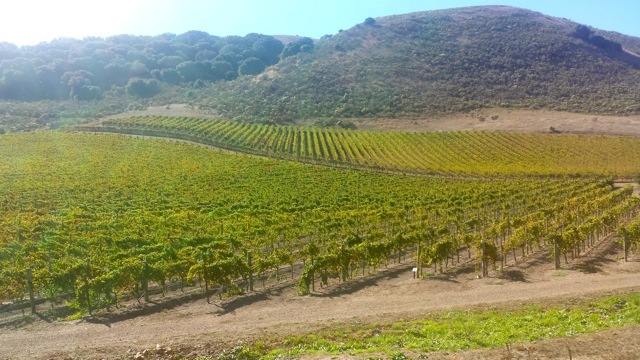 Of the sprawling 500,000 acres designated within Sonoma Coast, only 2% of the land is planted to vineyard. The majority (75%) of the vines are planted to Pinot Noir and Chardonnay. View of the vineyards looking out from Schug Carneros Estate. After meeting with Axel Schug at the winery, we were confident that we had found a great producer to showcase an exclusive wine for WineCollective. Axel Schug toured us through the estate and poured the winery’s current releases. We were blown away by the quality, consistency and dedication of the Schug team, crafting exceptional and accessible wines. The 2012 Chardonnay is a perfectly versatile Chard, with flavours of peaches, dried apricots, zingy white grapefruits and a hint of vanilla. The body is bold enough to entertain heavy pastas and roasted chicken, with just enough acidity and a long juicy finish. The 2013 Pinot Noir is sourced from 5 vineyards within the Sonoma Coast AVA, including Ricci, Stage Gulch, and Schug Estate vineyards. The Pinot balances rustic notes, ripe berries and savoury herbs and minerality. The elegance will impress Pinot-lovers, while containing enough bold character to also impress the apprehensive. 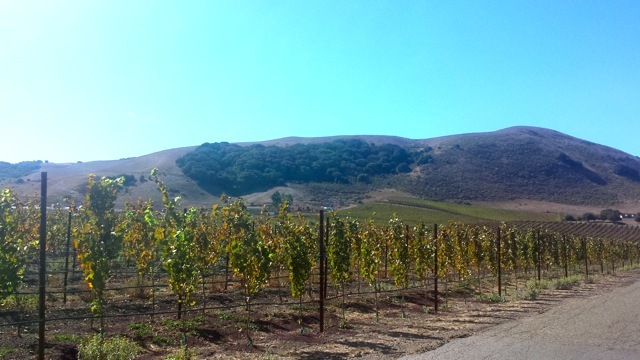 Vineyards to the north of Schug Carneros Estate. 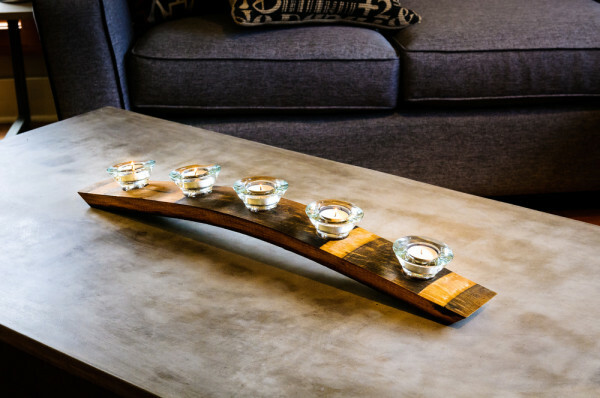 The WineCollective Cuvees are an exclusive opportunity to own a wine from Schug Estate that has been carefully selected by the WineCollective team, directly at the winery. We are proud to be able to offer our members the opportunity to enjoy this Pinot Noir Chardonnay from a premium producer at an exceptional value. We are excited to feature both these wines to WineCollective members at a price substantially below market, one of the benefits of our sourcing wine direct. 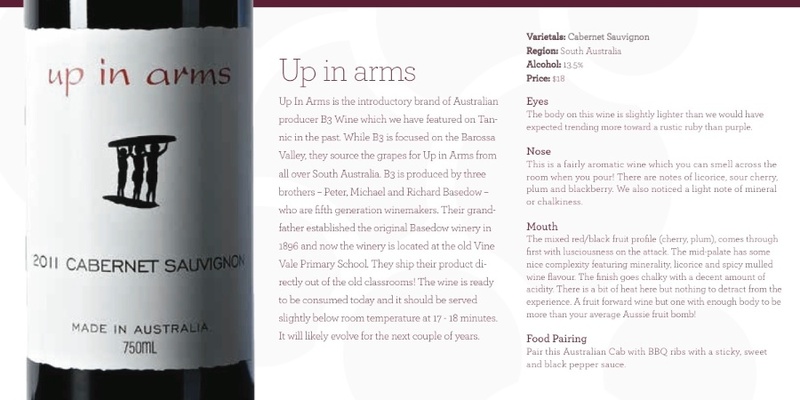 These wines will be available to members through the online members-only store, Tannic, and at Highfield by WineCollective until they sell-out. 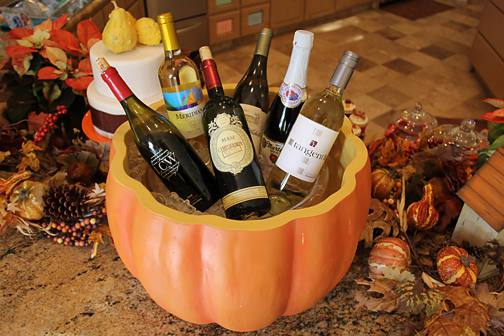 We would like to thank the team at Schug for helping to create a memorable wine experience! 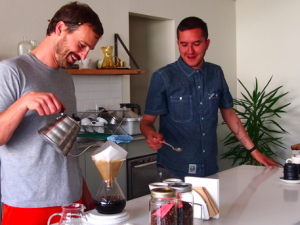 July’s CoffeeCollective feature comes to us from Victoria, B.C. In late 2011, Drew Johnson and his wife, Leesha Sabine set themselves up a new roastery in the Burnside neighbourhood where they could explore the world of roasting coffee. Formally a baker, Drew wanted to learn the art of coffee and expanded his knowledge from barista to head of his own roastery, Bows & Arrows. Today, Drew says he takes on every role at B&A. From janitor to green buyer, sales and even a milkman, being hands on is extremely important to the owner. 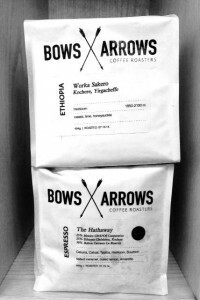 Although the name Bows & Arrows came about from hitting shuffle on an iPod (an album name from the band “The Walkmen”) it still speaks true to the roastery’s attitude. “We like the craft inference. The honed skill,” says Drew. Not to mention, Bows & Arrows is quite a catchy title, and beyond the name comes great marketing. Both Drew and Leesha work on showcasing Bows & Arrows, and considering their packaging is a new CoffeeCollective favourite, we would argue that they are both quite skilled at branding and design. 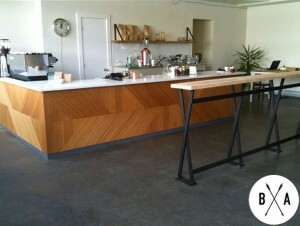 Bows & Arrows roastery also holds a bar café where 2 or three daily espresso options are available for tasters. For those of you in Victoria, you can find Bows & Arrows at 483 Garbally Road. However, for others across the country, B&A has a long list of retailers that you can purchase their coffee from. The majority of beans roasted at B&A are sourced from farms in Central and South America, as well as East Africa. While they are not part of a coop, Drew says that they source beans by mostly returning to the same trusted importer year after year. This has not only built relationships with specific producers, but also given them some piece of mind. “We want to develop the type of relationship where we are investing in the producers and collaborating to make not only their coffees better, and therefore, their incomes more predictable and stable, but also where we are learning the complexities facing each producer from where they are situated,” Drew wrote to us. Some B&A beans are certified organic, while others are grown organically without certification. Drew however, does look for specific qualities when sourcing such as clean water and washing practices, ethical farm worker practices and investment for improvement. He suggests that all CoffeeCollective members really look into their roastery, their practices and how they conduct themselves. The two roasts we selected for this month’s packages include the Ethiopia Worka and Hathaway Espresso. Kochere, Etiopia is a coffee region next to the well-known coffee-growing region of Yirgacheffe in Southern Ethiopia. These particular beans are sourced from Worka Sakero, a grower’s association with 750 farmers each cultivating roughly 2 hectares. The Ethiopia Kochere Worka is a medium roast, filled with floral notes of cassis, kefir lime and honeysuckle. With different beans sourced from Mexico, Ethiopia, Bolivia, the Hathaway Espresso brings together flavours of different lands and soils all into one cup. As a tribute to Tony Hathaway, B&A says this espresso blend is perfect on its own, or in milk-based drinks. Try the candied sweetness, stone fruit and Neapolitan ice-cream flavours of the coffee with a latte. Check out Bows and Arrows Coffee Roasters today through their website and social media pages! If you enjoyed their roasts, you can find more not only across the country and on their site, but also on the CoffeeCollective store which is open to all members and non-members! 1. To separate the wine from sediment (common in older wines). 2. To allow oxygen to mix with wine (typical in younger wines). During ageing, it is common for sediment to appear in the bottle. Sediment is also intentional, if a winemaker chooses not to fine or only lightly filters the wine. While sediment is not harmful, it can leave a bitter taste. 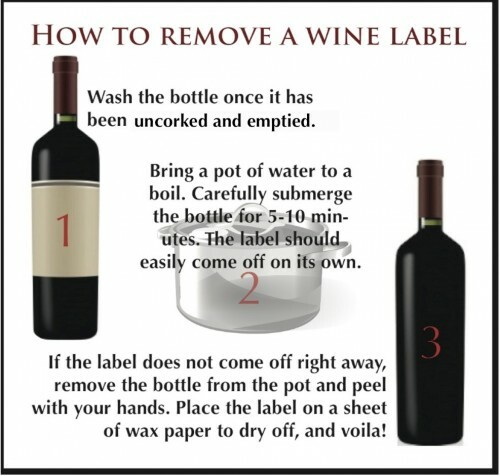 To remove, position the bottle upright the day before you plan on serving the wine. This will gather all of the sediment at the bottom of the bottle. Slowly pour the wine into the decanter and stop pouring as soon as you see the sediment. 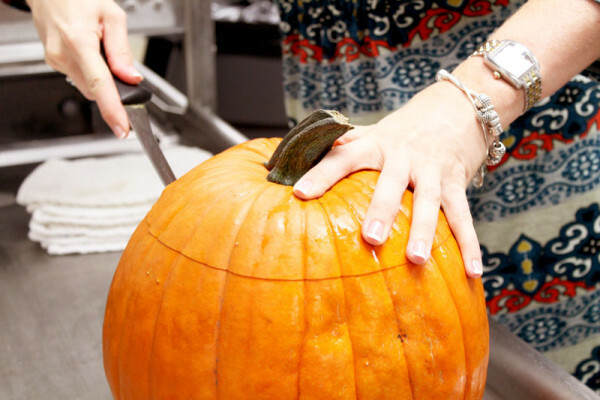 You can do this directly prior to serving or up to half an hour before. At times, younger wines need to decant for a long period of time in order for it to fully aerate. Leaving wine for an hour or so in a decanter will allow for more pleasant aromas and a more mellow alcohol taste. 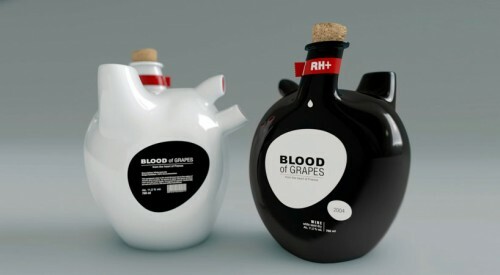 Again, slowly pour the wine into the decanter and let sit for some time. You can pour directly from the decanter since they make a nice addition to a table setting. 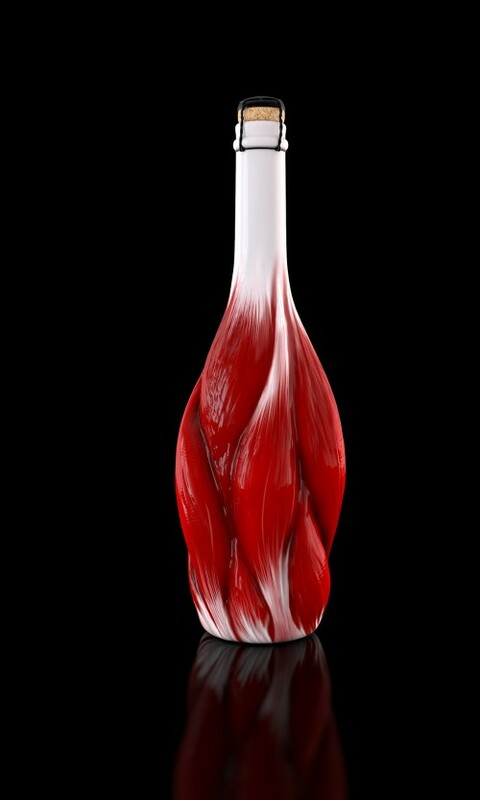 With that being said, when choosing a decanter stay away from trendy spiral or painted designs. 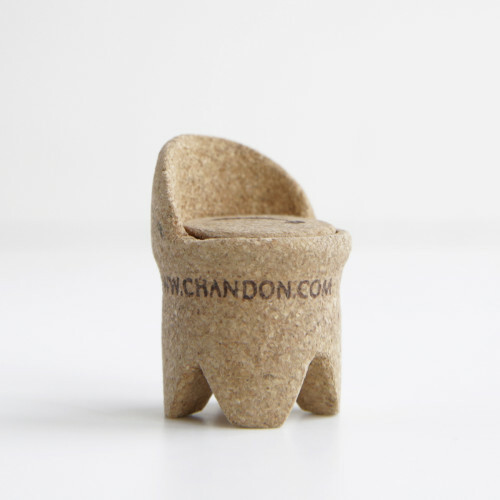 While they look super cool, they are impractical to clean and you want to be able to see your wine clearly. 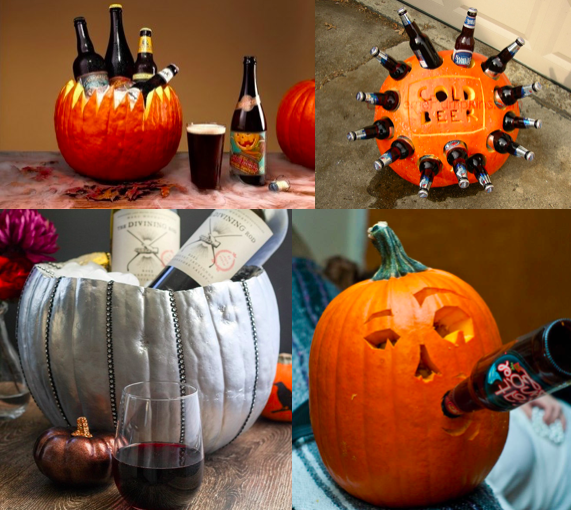 We suggest one with a big base and wide-open mouth. Depending where you shop (Wine Enthusiast has quite the selection) and the decanter’s size and fanciness, prices from $40 to $400. 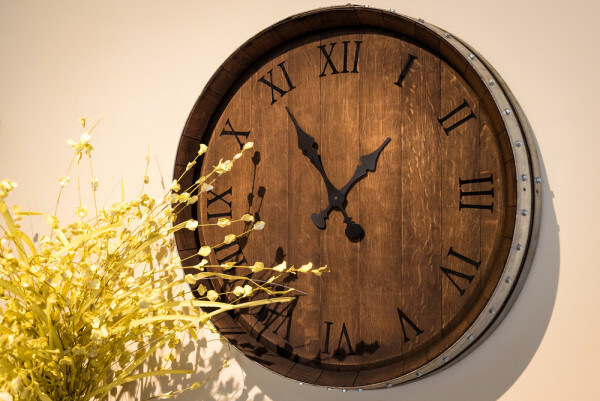 If you don’t normally decant your wine, give it a try and experiment with time. 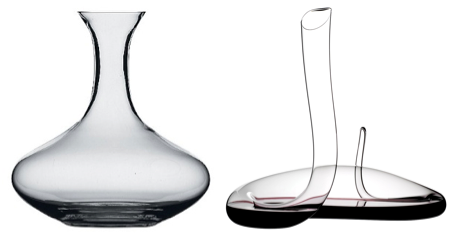 Learning and tasting the difference and effects of decanting wine is all part of expanding your wine knowledge. 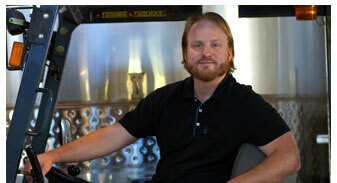 Gravity flow winemaking is a practice that is becoming well recognized by wine makers and vino fanatics. The process in gravity flow (also known as gravity fed) winemaking, allows for the wine to stream from winery levels. Unlike traditional one-level cellars there is no use of pumps or mechanical force, enabling the wine to gently extract colour, flavour and tannin. Although gravity flow seems to be a new discussion in the wine world, the process has actually been around since the 1800s and is a highlight of Australian winemaking history. In 1888, Seppeltsfield Estate in the famous Barossa Valley used gravity flow for almost 100 years. By 2010, the winery was remodeled with a million dollar investment to include top of the line industry equipment. This month, WineCollective is featuring Lynmar Estate’s 2009 Russian River Valley Pinot Noir in our Indulgence package. Winemaker Shane Finley says that the Californian estate has used gravity flow since 2006, “when the winery and caves were completed.” Although Finley says that the process allows for minimal oxidation and delicate handling of the wine, he admits that the process is not for everyone. 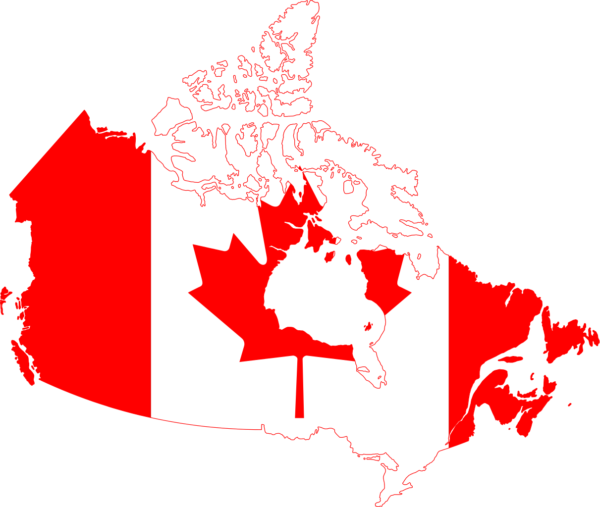 “It is time consuming and more labour intensive. The winery need to be built in a specific way,” says Finley. 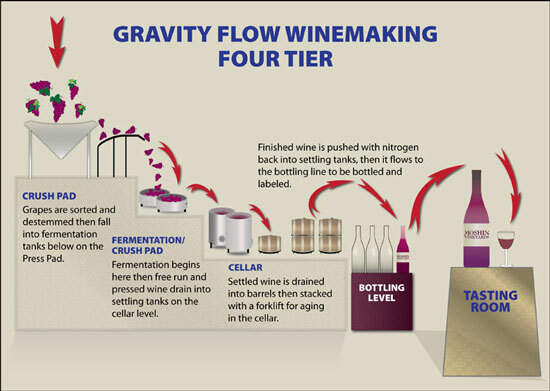 The typical gravity flow winery is compromised of four levels that follow regular winemaking steps. However, each stage is separated onto different floor levels, allowing gravity to move the wine from crushing to cellaring. Clusters of grapes are brought by forklift to the top floor of the winery where they are destemmed and crushed. The juice from the grapes slides beneath to fermentation barrels through hoses that connect each level. 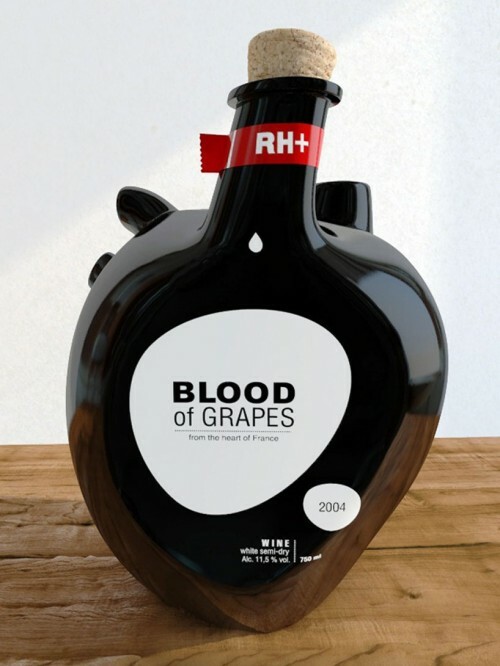 Regular fermentation takes place where natural or added yeasts turn into grape juice in alcohol. Lynmar Estate is equipped with “the most modern winemaking equipment including double-jacketed fermentation tanks,” which allows for temperature control. 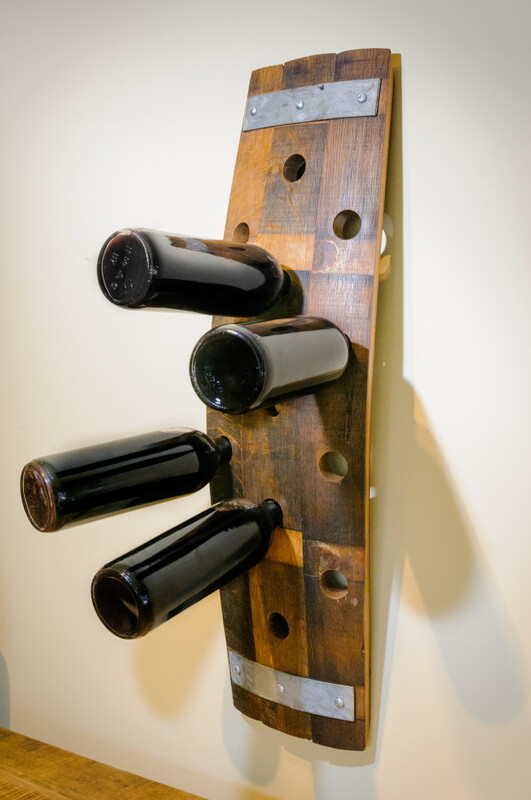 Wine is then pressed and flowed to the next level. Wine is drained into barrels in the cellar to age. At Lynmar, wine is moved to “The Cave,” a 9,000 sq ft cellar that can set temperature to 11°C and control humidity. 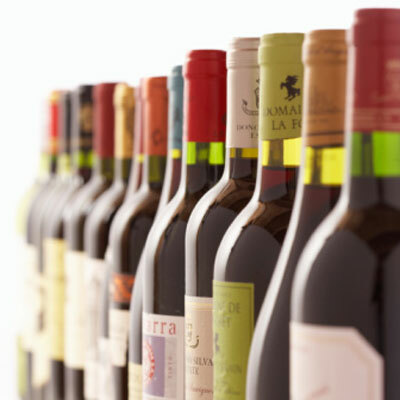 Bottling the wine typically uses nitrogen to push finished wine into bottles. However, finishing touches vary according to the wineries filtering, fining and settling choices. Gravity flow winemaking is without a doubt a more gentle way of handling wine at every stage. Lynmar Estate says they operate from a “dream winery,” which appears to be a common belief of gravity flow wine makers from Calera or Denner Vineyards. For our WineCollective members that will be receiving Lynmar Estate’s Pinot Noir in their upcoming July Indulgence package, we would love to know your verdict on the wine and how you enjoyed it. Keeping a wine journal is a helpful practice for wine beginners and professionals alike. Unless you are able to memorize each bottle you have ever tried, filling out a page or two of details can help you remember what made the vintage so special… or dreadful. 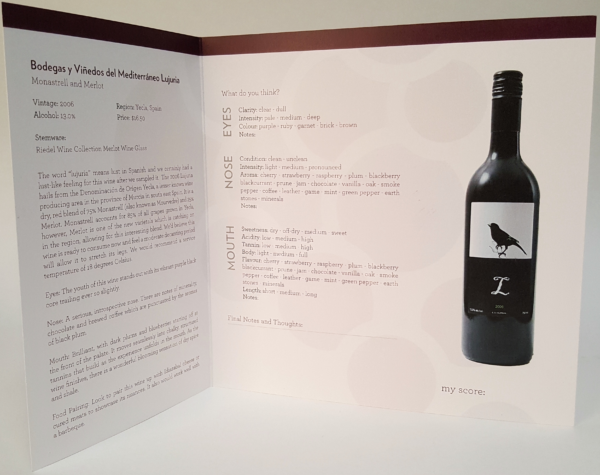 A typical journal makes space for you to list the name of the wine, vintage as well as the region and country it came from. You can also record tasting descriptions (eyes, nose, mouth) and additional notes or overall ratings. 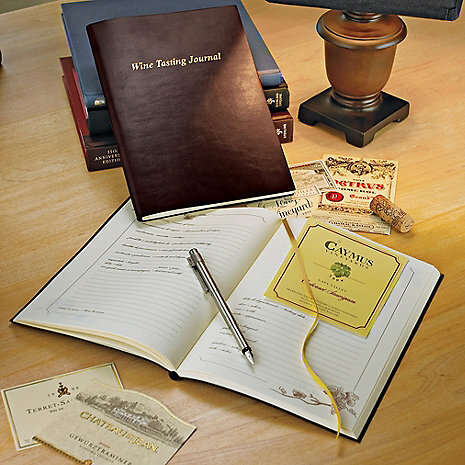 Most wine journals, like Wine Enthusiast’s leather bound journal ($34.95) also have areas for tasting date, alcohol, price, date purchased and where, food pairing and cellaring information. Basically, these notes make going back and finding the bottle you enjoyed six months ago a breeze. Label areas are another feature typically included in a wine journal. After removing a label* from the bottle, pasting it among the notes really completes an entry and gives you a visual to find the vintage later on. 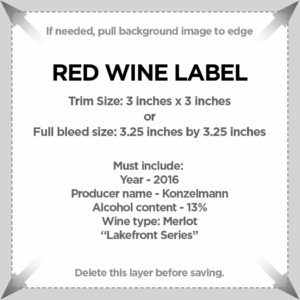 You can remove a label easily at home. 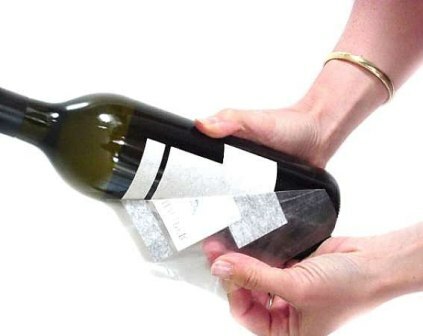 If you prefer not to take the chance of getting burnt, label removers are essentially large pieces of adhesive that rip the label from the bottle. Labeloff sells 10 stickers for $8 and up to 1,000 for $400. 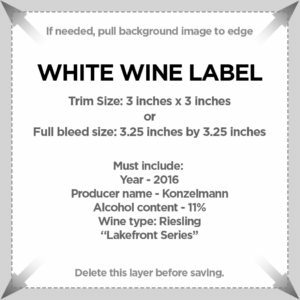 As a member of WineCollective you receive tasting cards with each bottle you receive with your package. With all the research done for you, these can help you write out each section of your journal – some of which include a slot to store technical sheets or cards such as ours. 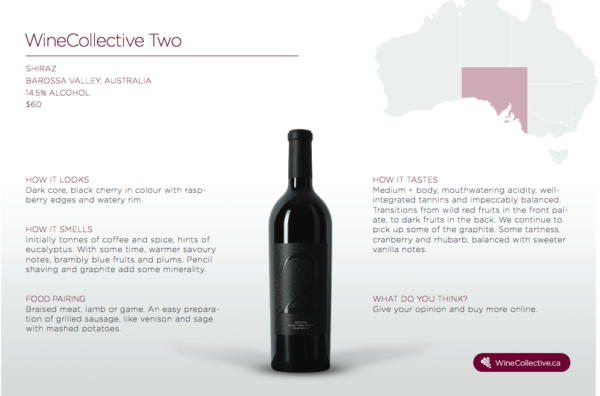 Through your WineCollective account online you can also view information on every wine sent to your door. 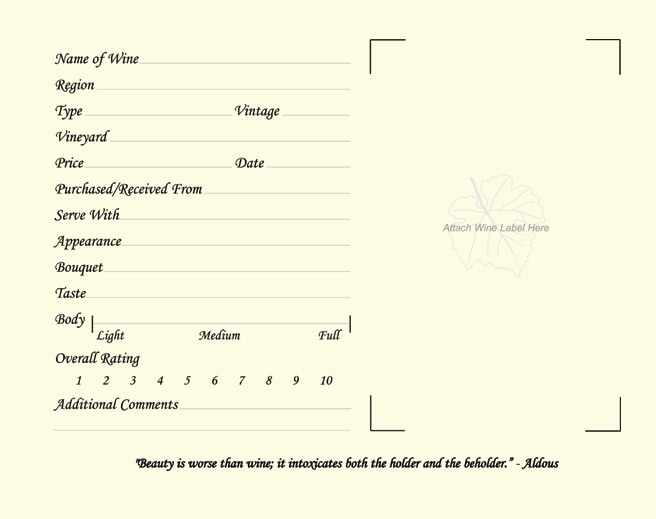 Under “My Wines,” you can share your ratings and comments on every vintage you receive with the WineCollective community. Purchasing a wine journal does not have to come at a price. 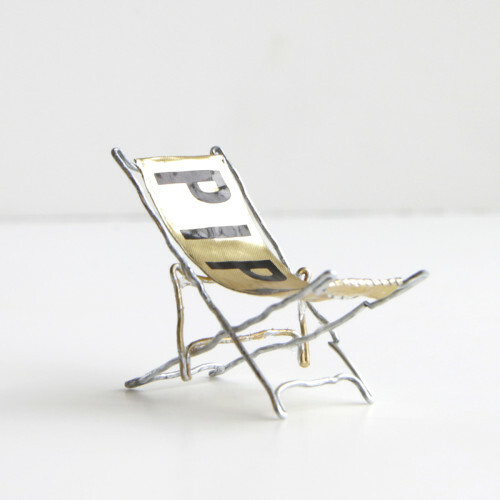 If fancy leather isn’t your thing, Chapters sells a wide variety starting at $10. Or, if you’re really hesitant on carrying a book to dinner this weekend (you may look nerdy) then there is an app for that. 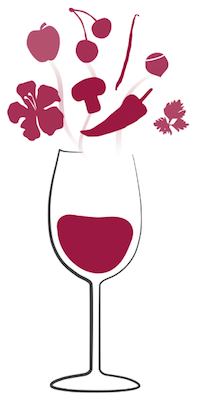 Smart phones also have a large selection of wine apps, including Wine Journal for $1.99. It allows you to note much of the same information as a hard copy and snap photos to go along with the description. Whichever route you choose, we guarantee keeping a wine journal is a handy exercise. You will definitely be glad you did it when you’d really like another glass of that Pinot Blanc we sent you last month… What was it called again?